Like many New York Yankee fans Thursday morning, I checked in with Twitter as soon as my eyes were open to see if left-hander J.A. 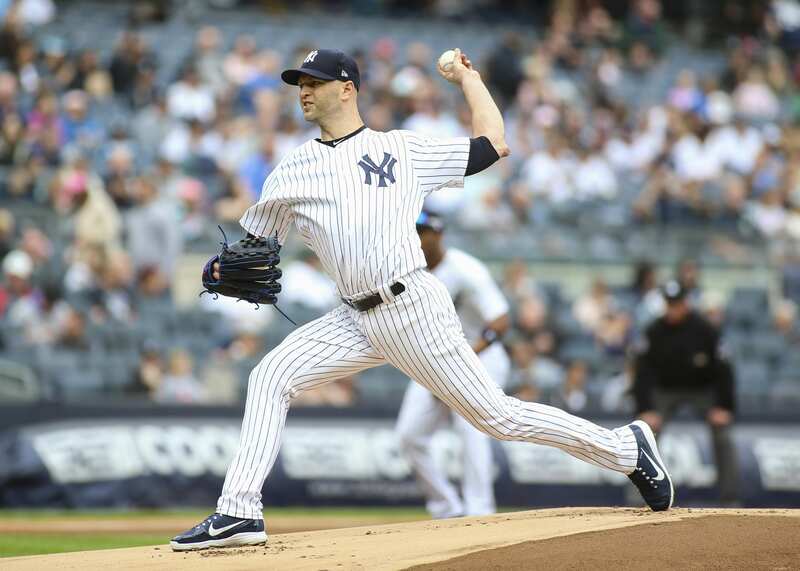 Happ was a Yankee yet. He wasn’t and that anti-news has been the tone of the Yankee winter meetings so far. Earlier during the meetings, fans were surprised by the news that Noah Syndergaard might be available and that the Yankees and the Mets were talking trades. A blockbuster three-way-deal with the Miami Marlins and the Mets seemed a real possibility as the Yankees were interested in Syndergaard and the Mets, as is well-known, covet Marlins’ catcher J.T. Realmuto. It was at this time that reports were fast and furious that Miguel Andujar was available – was Andujar the sticking point in the deal? Were the Yankees unwilling to trade the Rookie of the Year candidate, along with other prospects, for Syndergaard? When asked about Machado on MLB.tv on Wednesday, Cashman said he had been in touch with Machado’s representatives and will certainly have a face to face with him if things progress; however, the Yankees are assessing whether to slot in a second baseman, like Freddy Galvis, who Cashman mentions and move Gleyber Torres to shortstop or to bring in a shortstop and leave Torres at second base. The question of who will play shortstop for the New York Yankees is a significant one, particularly as the infield struggled with the two rookies, Torres and Andujar suffering growing pains on defense. Certainly the Yankees could use Machado’s glove at shortstop or at at third base, however it plays out this offseason. In addressing Bryce Harper, Brian Cashman called the Yankees a “fully operational Death Star.” Translation: Yankees always ready to pivot. Is this a rare moment when Cashman tips his hand? Have the Yankees a plan, perhaps now that the rotation is set (assuming the Happ acquisition is announced today) to target players, such as Harper and Machado? Yankee fans are eager to return to the Evil Empire and to become strong enough to destroy the other teams in the American League East in 2019. Thanks Cashman for aspiring to strike terror in the hearts of opposing teams, but please get on with it!